Defence and Security Alert (DSA) is the first and only ISO 9001:2015 certified, world-class monthly Indian magazine in defence and security journalism. Covering a strictly research based spectrum of dynamic scenarios in India and challenging horizons beyond national borders, DSA is the only Indian defence magazine available on the intranets of Indian Air Force (IAF) and Border Security Force (BSF). DSA is an ideal platform in this domain to showcase your products, services and cutting-edge technologies. 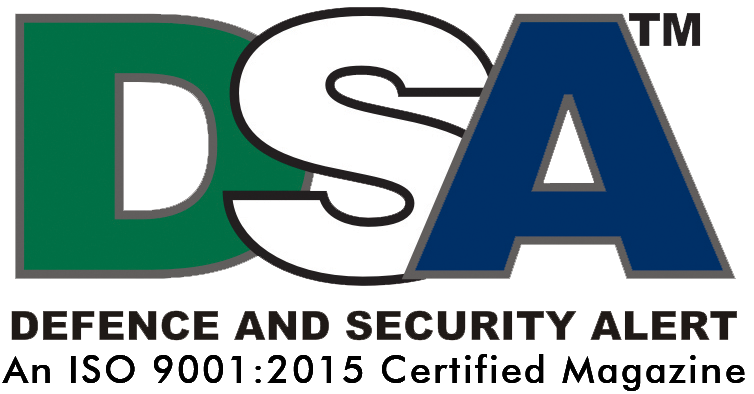 DSA is very extensively circulated among key policy and decision makers in the federal and 28 state governments and corporate world in India and worldwide through print and online editions.